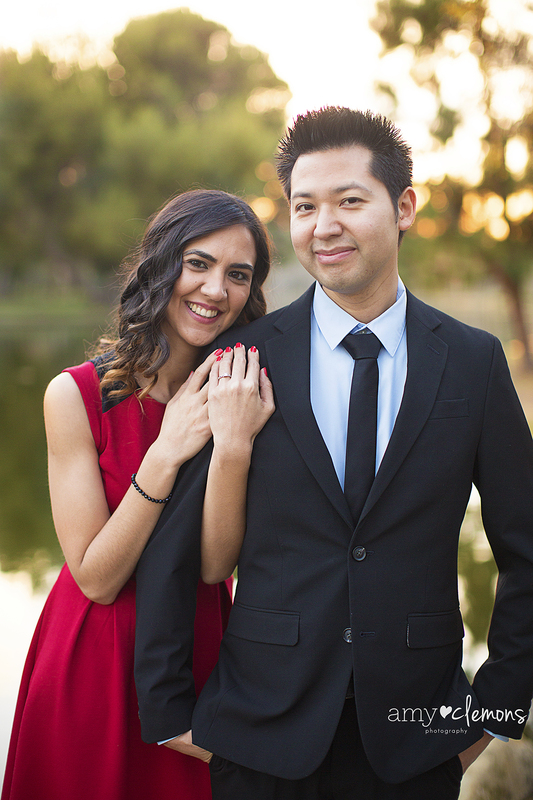 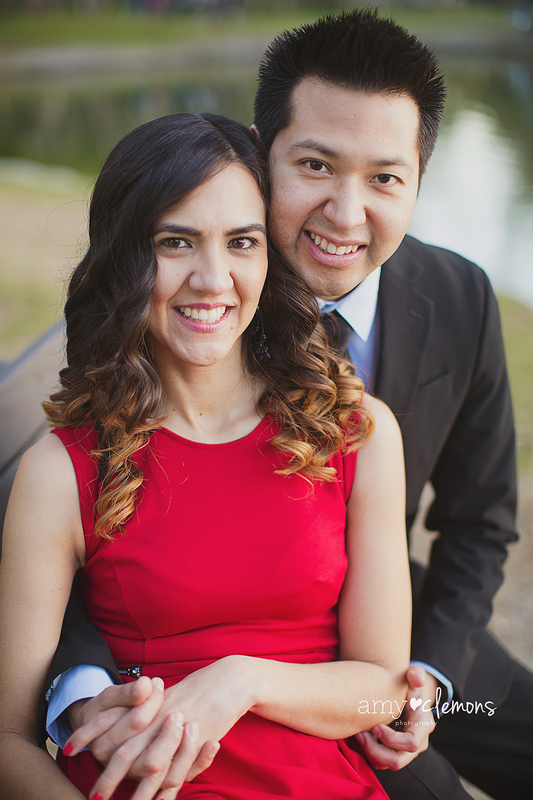 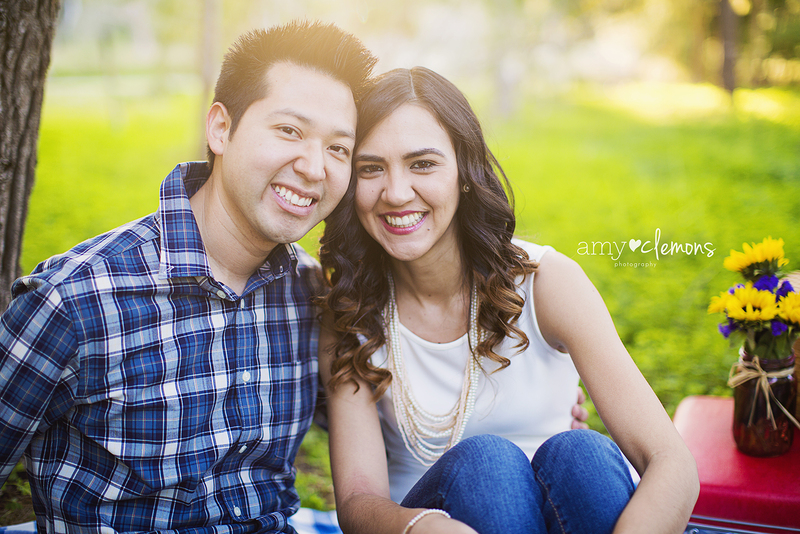 Citlaly & Pablo are one of my amazing 2015 wedding couples and we always have so much fun together! 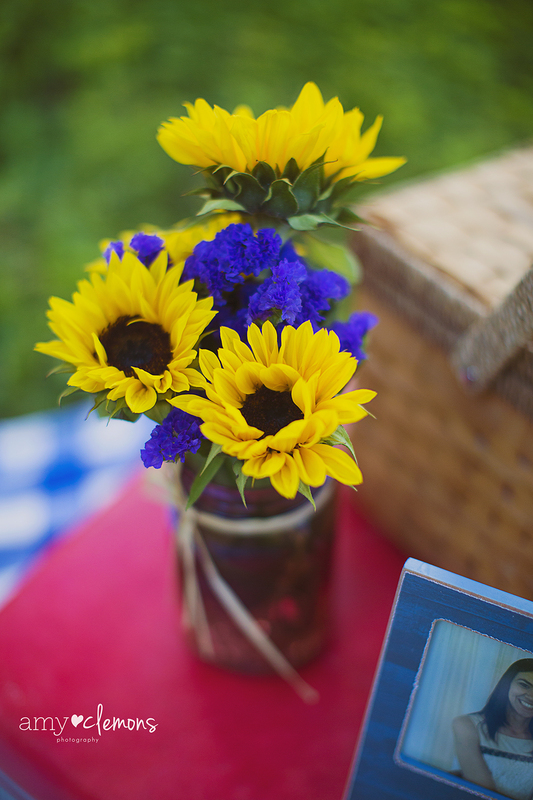 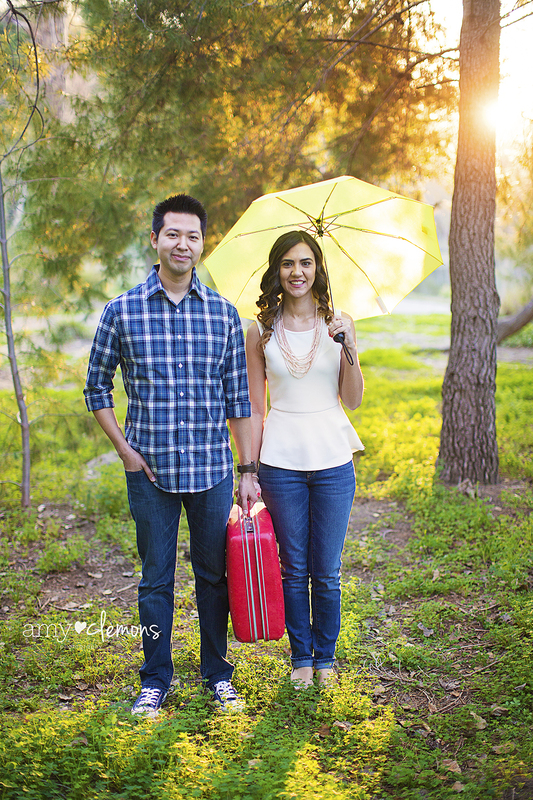 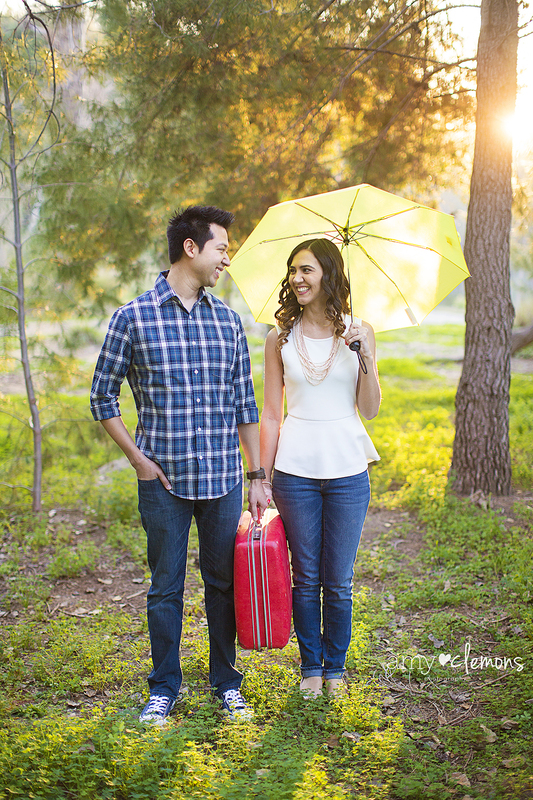 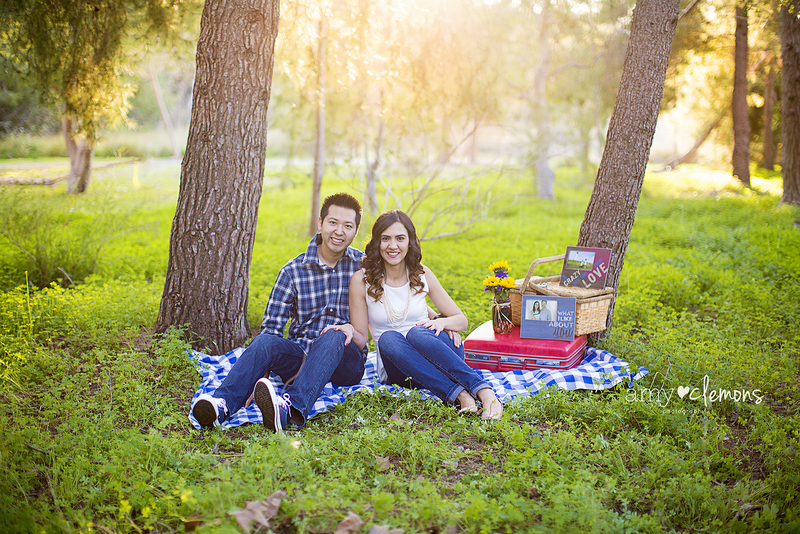 I was so excited for their engagement session because they are both so fun-loving and creative! 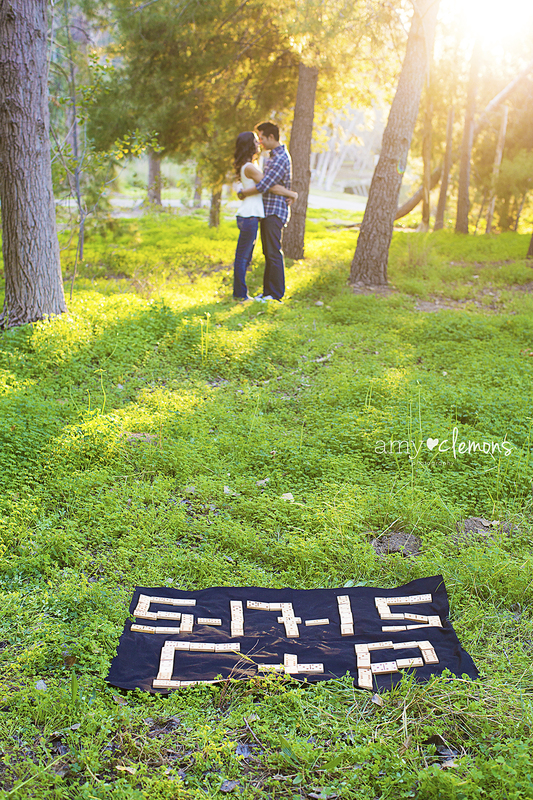 Pablo loves the show: How I Met Your Mother (and I LOVE it too), so we had to tie it in there a little bit. 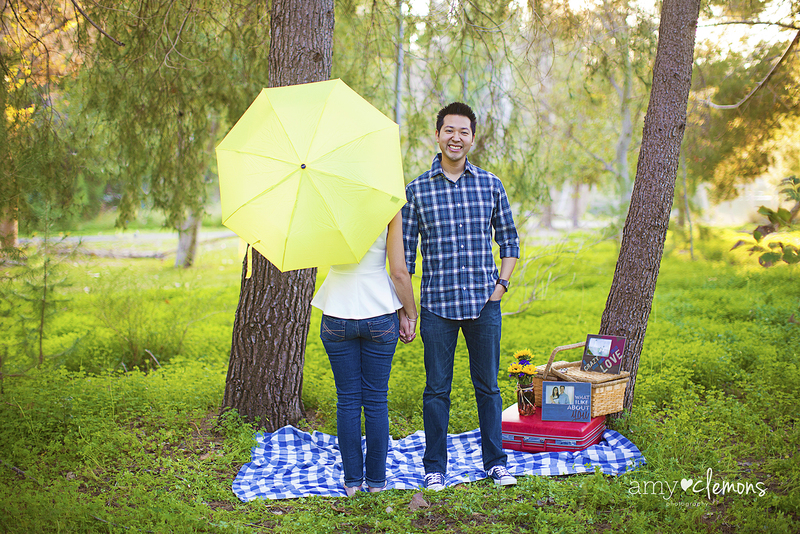 He for sure found his dream girl with the yellow umbrella! 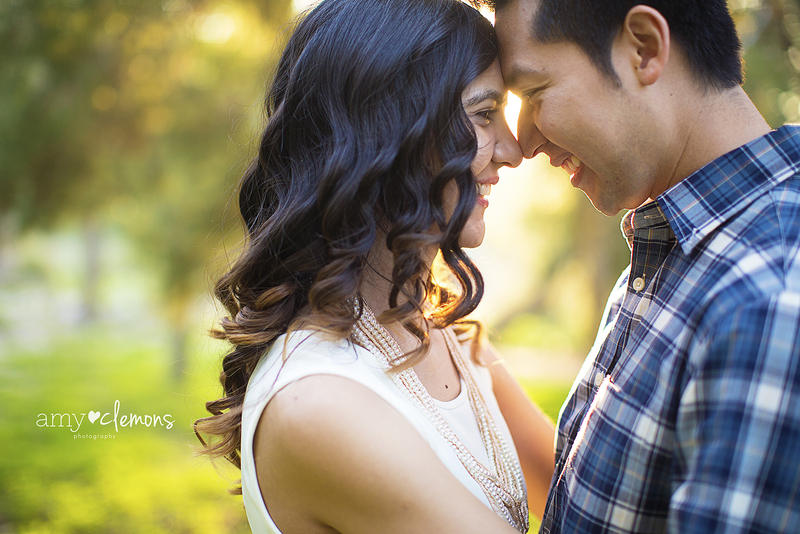 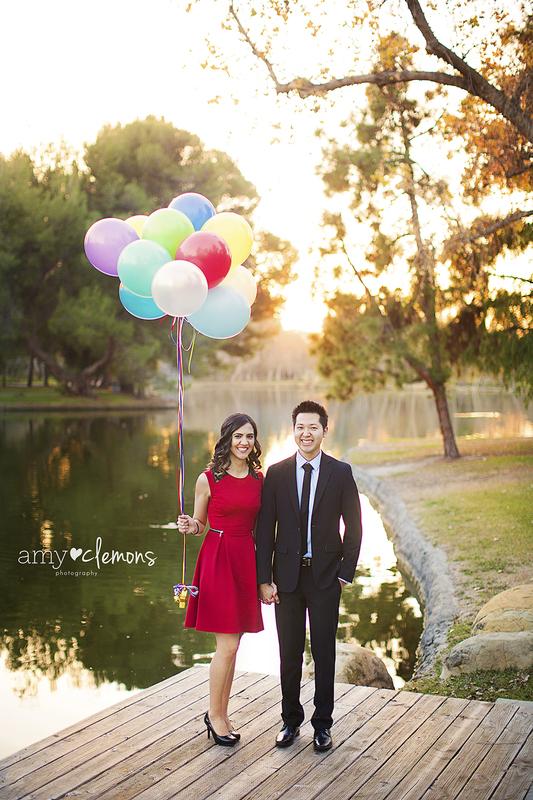 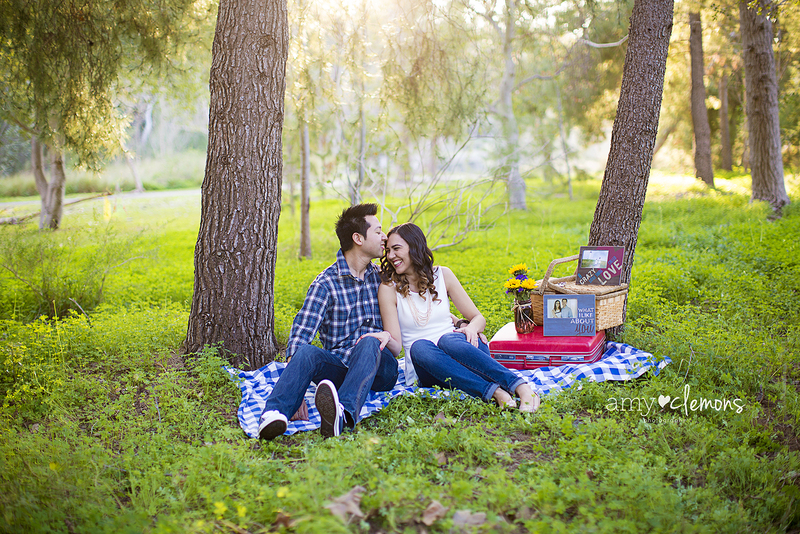 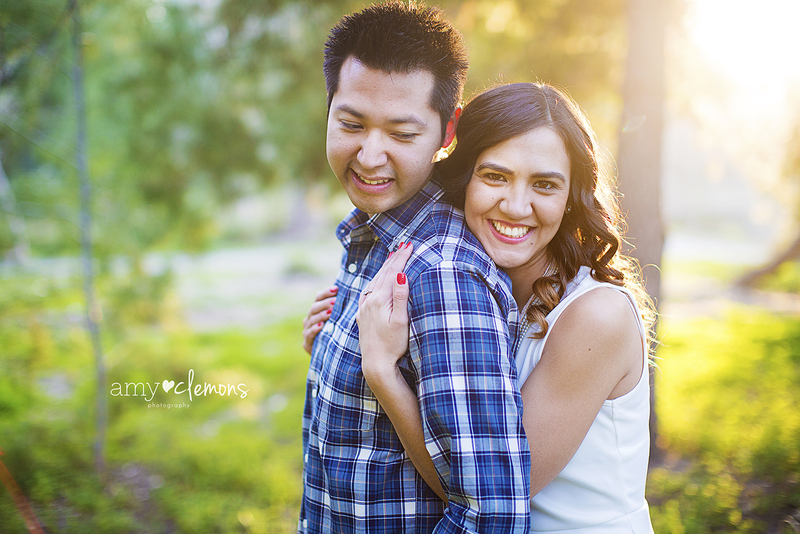 We had the perfect session, with the amazing golden light that Southern California is known for! 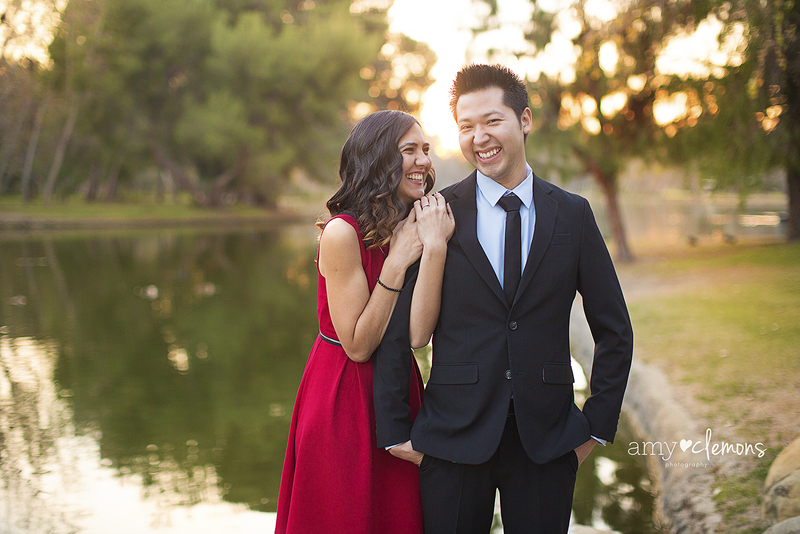 I always recommend to my couples to do a wardrobe change in the middle of their engagement session. 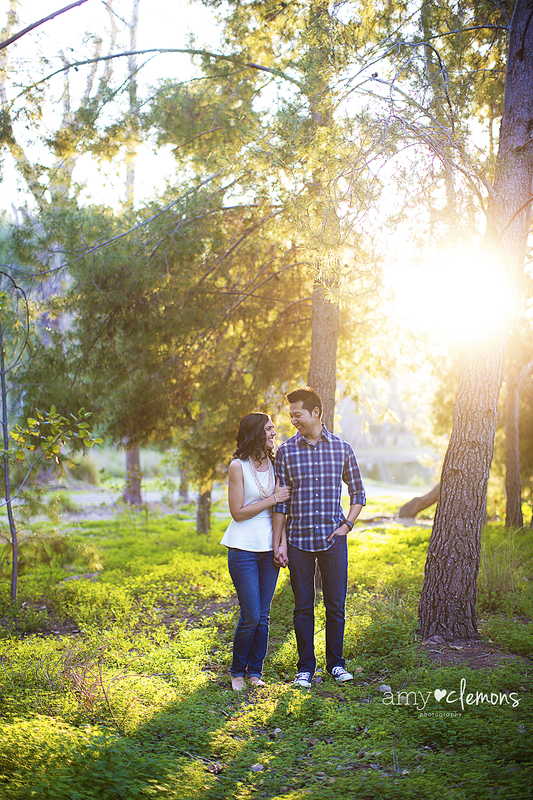 It really gives the session lots of depth and variety! 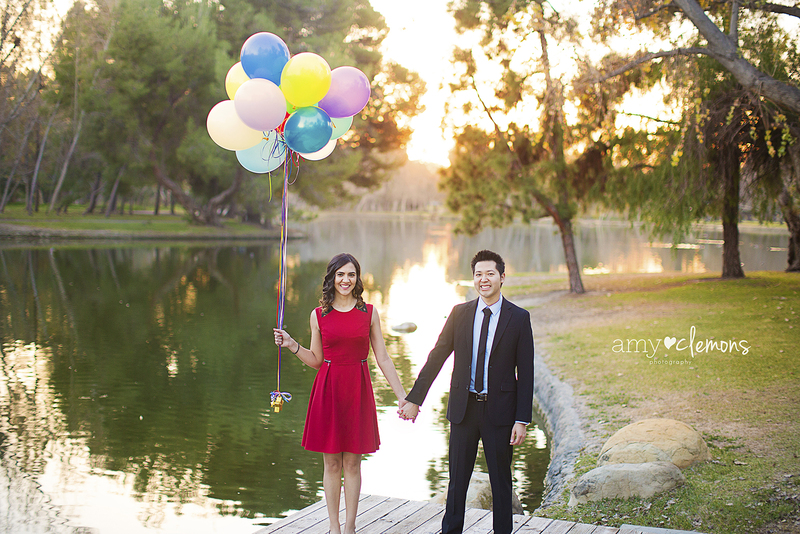 The balloons that Citlaly picked out for the second half of their session added the perfect amount of fun and color to the session!